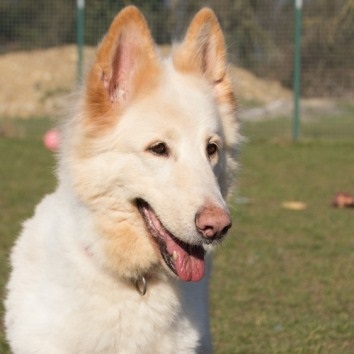 Alex is a lovely, soft and fluffy boy who would love to have someone special to share his life with. He’s a little shy and nervous at first but soon comes round. 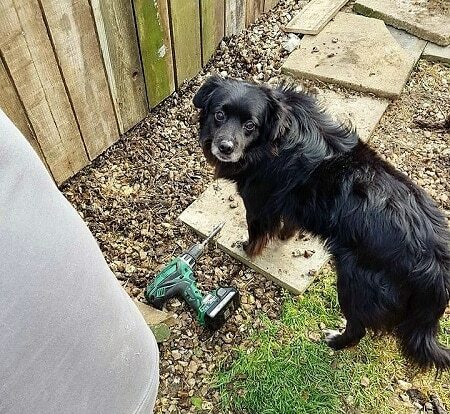 Alex could be the only dog or live with other small, quiet dogs and he would be happy with children aged 15+. He’s rather gorgeous. Danny’s story is one of woe to joy. From years in kennels to home comforts and love. He’s good with other dogs and sensible children. His eyesight is declining but he still loves his walks. He just needs his happily-ever-after now. Could that be with you? Cute Cliff does a funny dance when greeting you and loves nothing more than a good tummy rub and brush. He can live with dogs, is good around cats and would be happy with older, respectful children. He’s well-behaved and will do anything for treats and a cuddle. 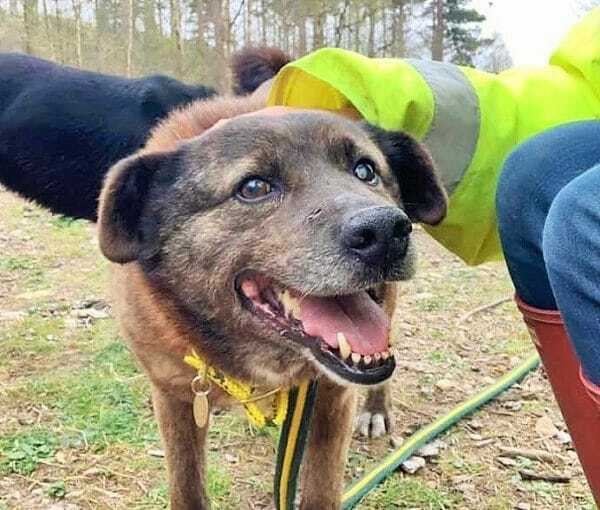 After spending most of his life chained up, Donny amazingly is a friendly, little chap who is happy to be with people, children, dogs and even cats. 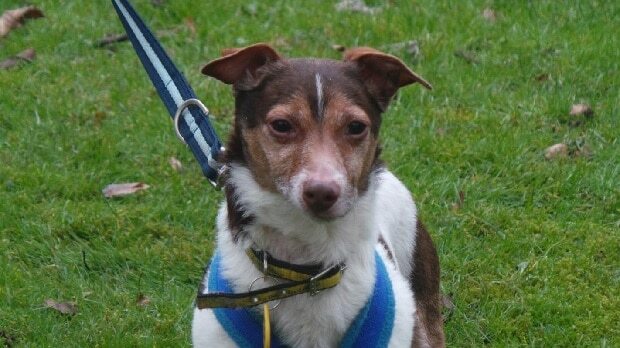 He would suit a calm home given his traumatic past and likes his walks followed by chilling out. 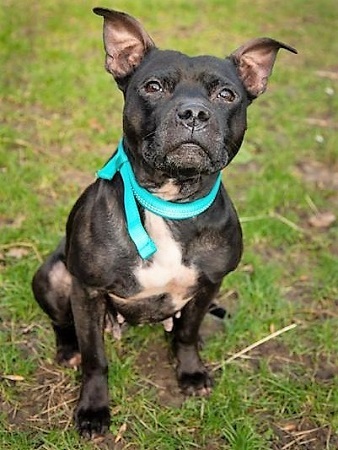 Tara is the sweetest little staffy girl who has sadly been kept in a crate all of the time. This has left her back legs a little weak, but it hasn’t diminished her kind and loving nature. 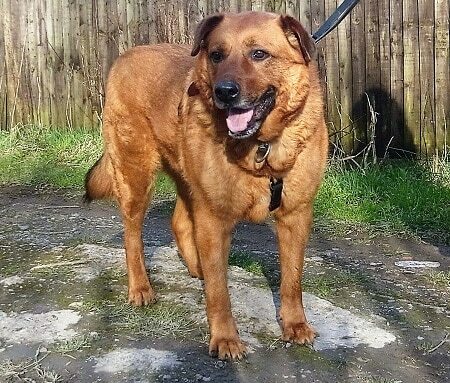 Could you offer Tara a wonderful new life? Friendly and loyal, clever and eager to please, wonderful Willow is easy to fall in love with. She’s the perfect house guest and is great with other dogs. Willow is looking for a quiet home with no children or those aged 12+ and is just the cuddliest girl ever with her incredibly soft fur. 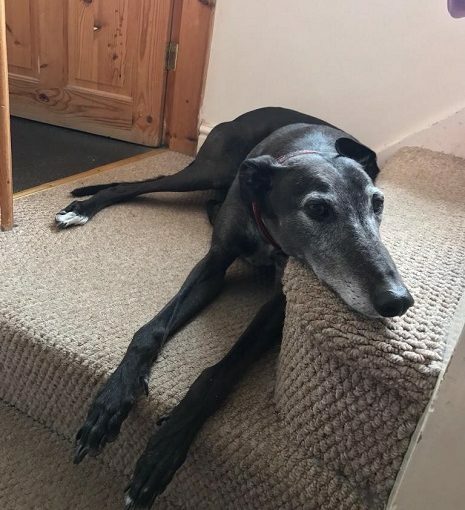 Knight’s loving and affectionate nature should definitely find him a cosy retirement home to enjoy for the rest of his life. He likes a quiet life with plenty of cuddles and some playtime. Knight is fine to live with school-age children. Just another overlooked black lady, but so sweet, gentle and unassuming. Just a small piece of your time and she’s in heaven. 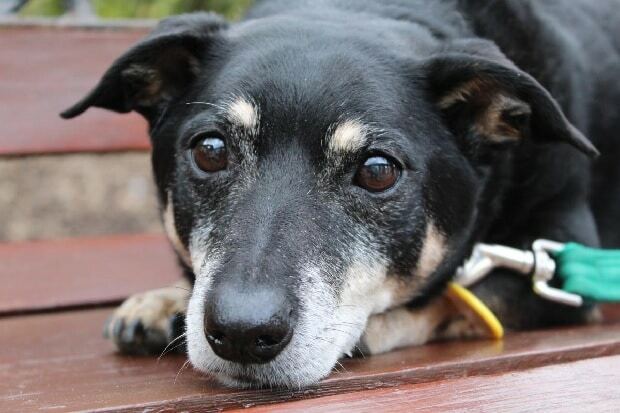 Lotte will fit easily into any home environment and all she asks for is to love and be loved. Sweet little Alice will make a loving, straightforward companion. She is lively and affectionate and gets on fine with other dogs. Bless! 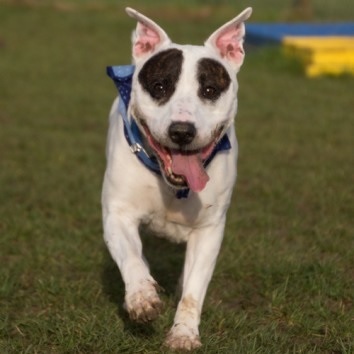 Bilbo has come from a stressful home situation and he is feeling very stressed in kennels. He needs a home ASAP where he is your only pet and where he will have a big garden to play in or will be pavement walked. 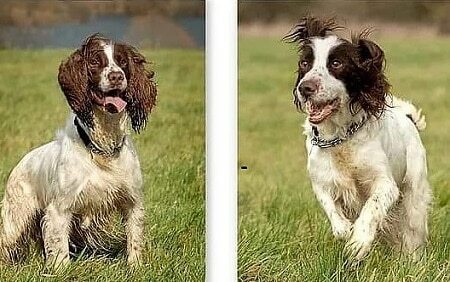 Charlie Girl and Oscar are an adorable pair of friendly English Springer Spaniels looking for a loving home together. They are both good with other dogs and off the lead, loving a game of fetch. They will be a lovely addition to a lucky family. Poor Angel has lost her home at the age of 15. 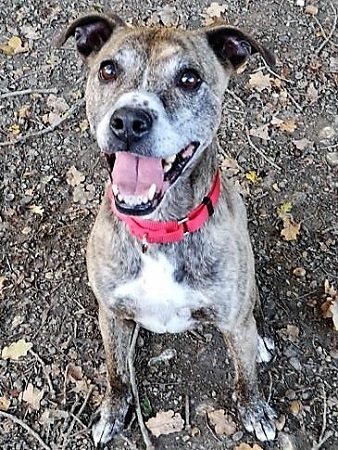 She’s still full of life and is a complete sweetheart who is good with dogs and cats and can live with older children. Bless her heart! 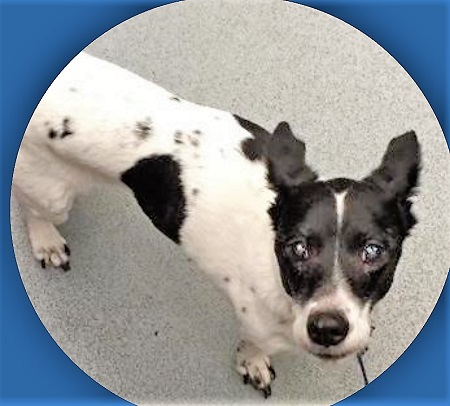 PRINCE IS OUR OLD DOG OF THE WEEK! Cuddle monster Prince is a lovely, steady old boy. He still loves his walks and enjoys meeting other dogs when he’s out. He needs a peaceful home as an only pet, to have all his human’s affection. He’s a restful, noble, soppy old sausage! Please help Prince by sharing his page! 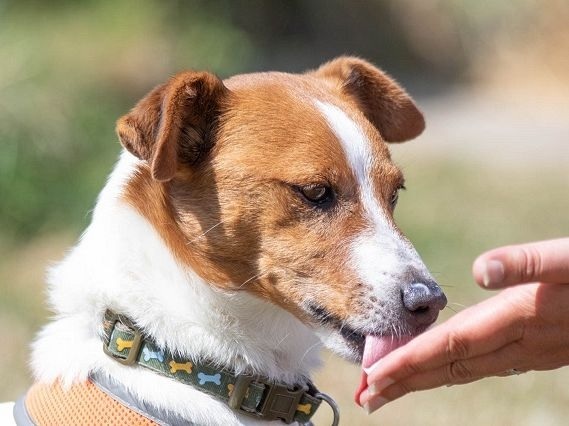 Milo is a happy and active little chap who gets on well with other dogs and can also live with a dog-savvy cat and older children. He needs a home where he will have lots of company and as much fuss as is humanly possible! 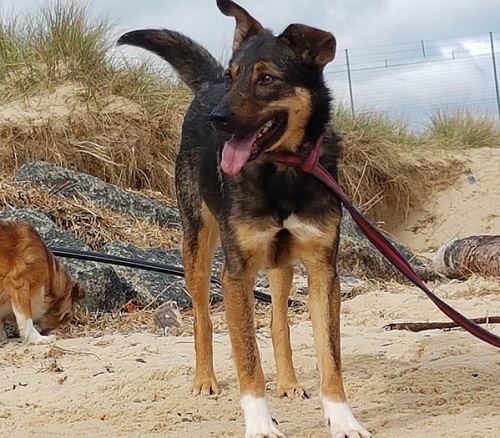 Avani is blossoming into a very sweet lady after coming to the U.K. She needs a quiet, adult home where she can continue to come out of her shell and is happiest curled by the fire. Avani would be fine as the only dog or with another older buddy. She’ll make a very loyal companion. 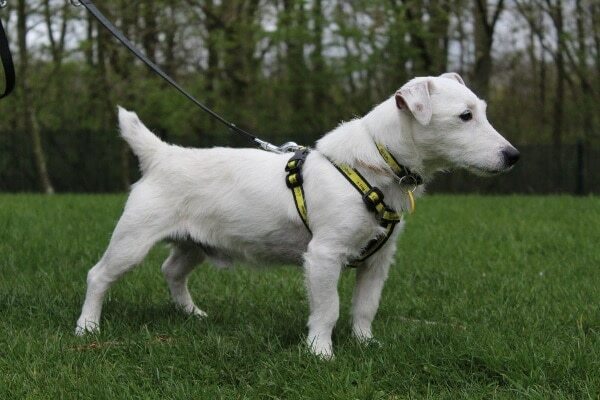 Sonny is a sunny-natured, energetic Jack Russell who loves to be busy. 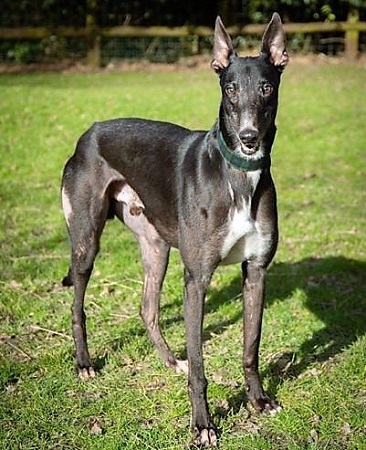 He needs a rural home with a secure garden where he can have an active and fun-filled time. 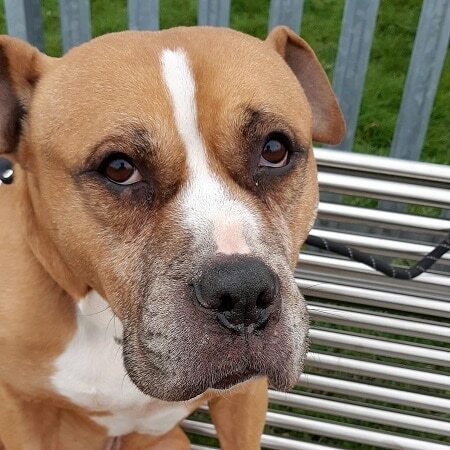 Wise and affectionate Winston is looking for an adult only retirement home where he will get plenty of belly rubs and cuddles, have short walks and long periods of not very much at all, in comfort. He’s easy-going and excellent company! Milo and Phoebe are delightful Yorkshire Terriers who need a new home as their owner is having to leave them for very long hours. They get on well with dogs and could live with children over 10. They are also used to living with cats. 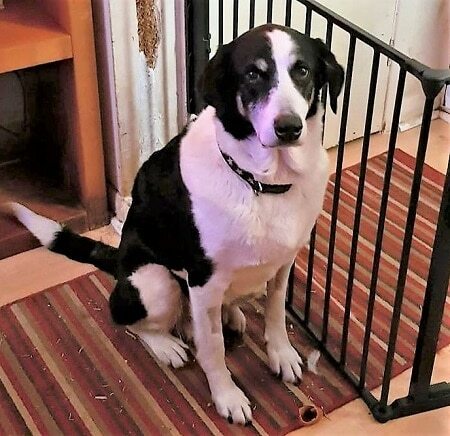 Gentle giant Apollo is a sociable and adaptable Carpathian Shepherd type who is looking for a home with an experienced owner and where any children are older due to his size. He currently lives with another dog but would be happy as an only dog, but no cats please. He’s simply gorgeous. 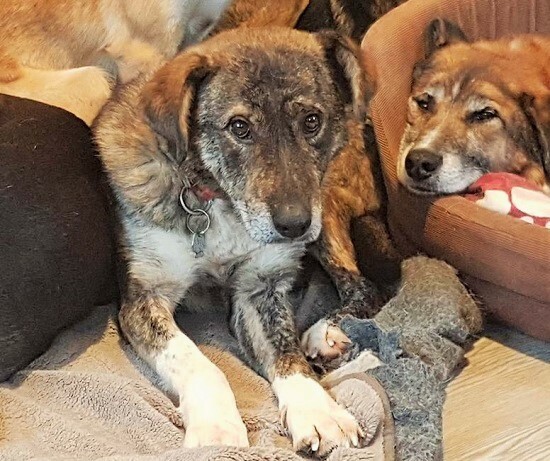 Shire the Lurcher and his best pal Amie the Mastiff x Cattle Dog, are a dream pair whose carers have really fallen for them. They should slot into family life easily and can live with children aged 11+. Gorgeous! 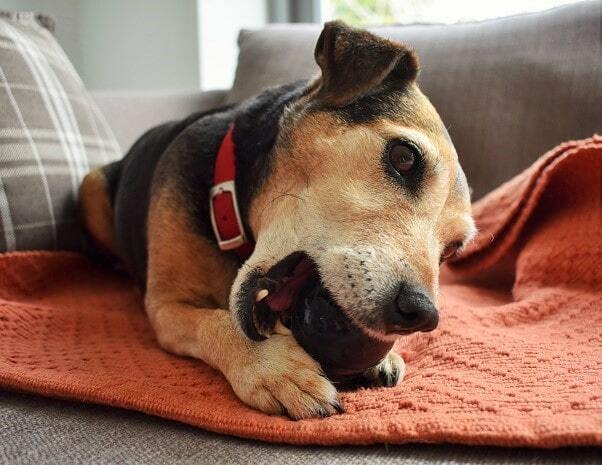 Little Max, a Lancashire Heeler, is a fairly easy-going chap who loves to play with his toys. He needs a new home because his owner was no longer able to care for him. Jess is a clever girl who is feeling sad at the moment. She would like a quiet home where she can be your adoring best friend. She can be left for 4 hours, and she enjoys a good sing-song in the car. Bless Jess! 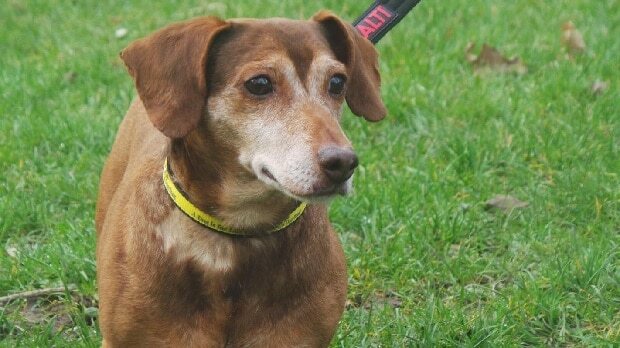 Dash is a lovely older Dachshund boy who would like a quiet home as your only dog and where children are aged 16+. Dash enjoys walks and is affectionate when he wants to be. 20.4.19 Update – please read. 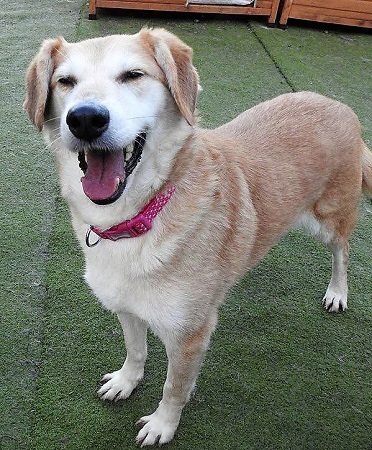 Friendly and soppy, Marta is a large and lovely Crossbreed who is looking for a quiet, rural home. She’s good with children and could live with another large dog after introduction. She’s not very active and doesn’t require energetic walks, preferring wandering around with lots to sniff. In the market for a pair of big cuddly teddy bears? Voila! May we point you in the direction of Turner and his dad Hooch. These gorgeous lads will smother you with love and affection. And fill any gaping spaces in your home! 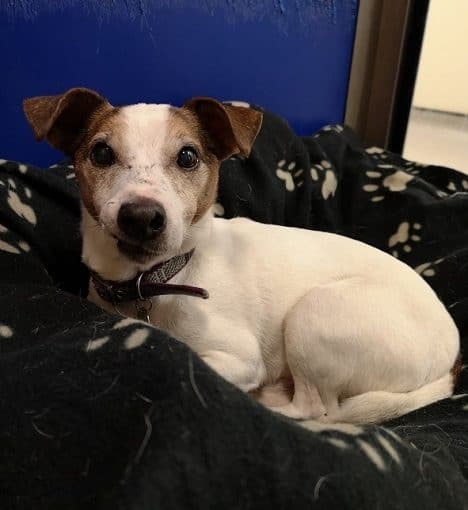 Poor little Charlie has been through a few ups and downs lately and needs a lovely home where he can play with his squeaky toys and then relax in peace. 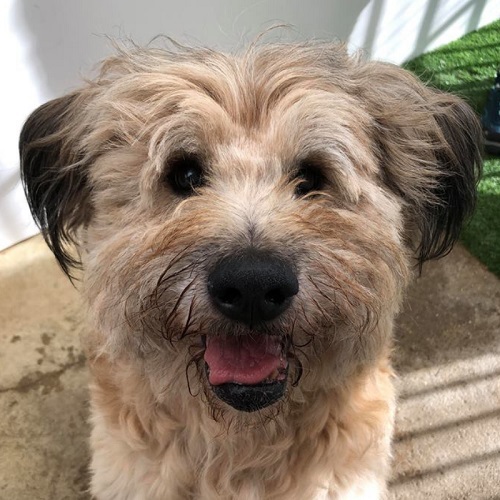 Could Charlie be your new friend? 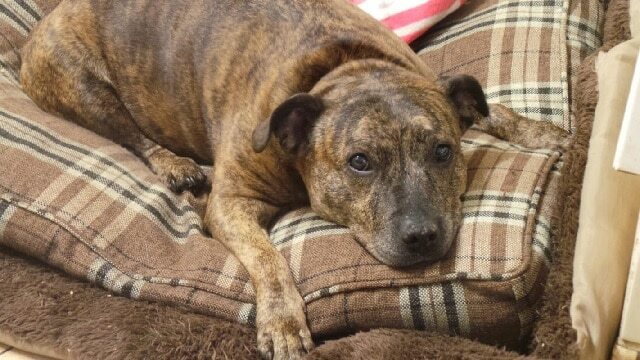 Cuddly Bella is a very loving lady looking for a quiet home. She’d prefer to be an only pet but she’s happy meeting other dogs on walks. She’d like an adult only home or one with sensible teenagers, as she does enjoy peace, almost as much as fuss! 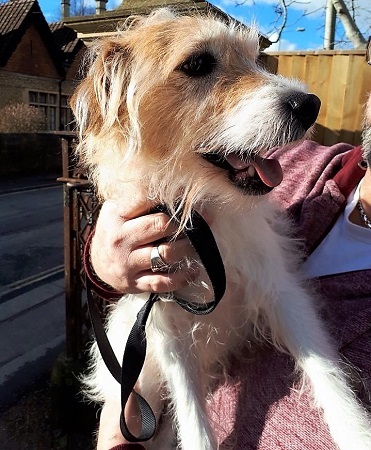 15/04/19 – Ruby has been reserved! Fingers crossed little lady! Little Ruby is an absolute sweetheart. Unless, that is, you’re a dog who’s as bossy as she is! She’s playful, cheerful, affectionate and good with older children, as well as sensible, submissive dogs. A dinky ray of sunshine… who knows her own worth! 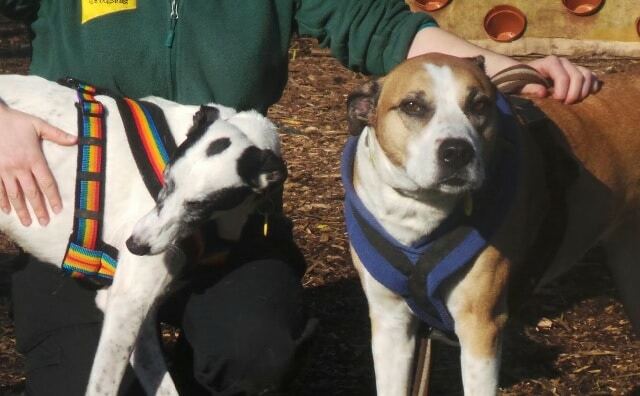 7-year-old Sasha and her younger best friend Brie, are looking for a new home together. They are reliant upon one another and love to cuddle up together. These friendly girls are simply adorable. 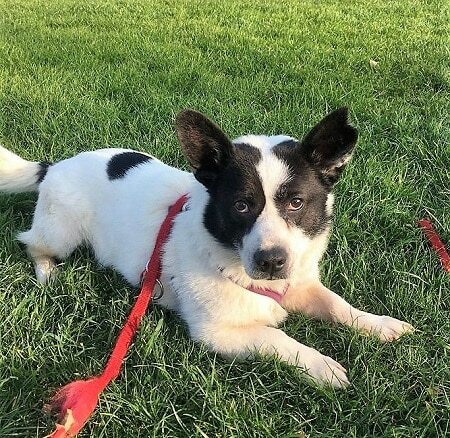 5/4/19 – Donnie is now reserved for a new home! 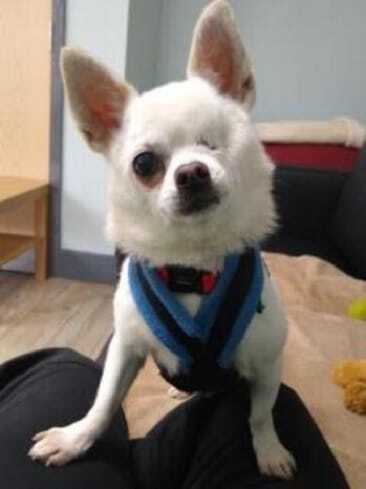 Donnie is a lovely little Chihuahua who enjoys short walks and cuddles. 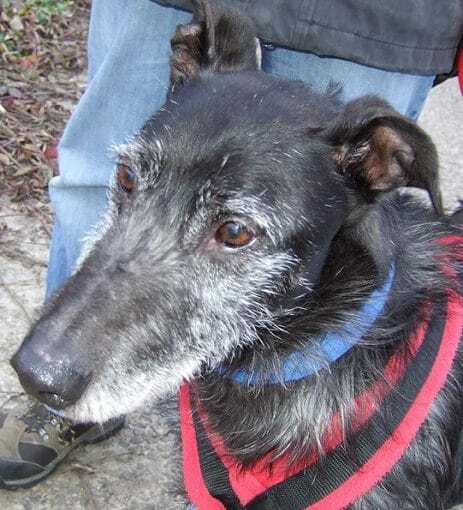 He’d like a quiet home as your only dog but could potentially live with cats and older children. 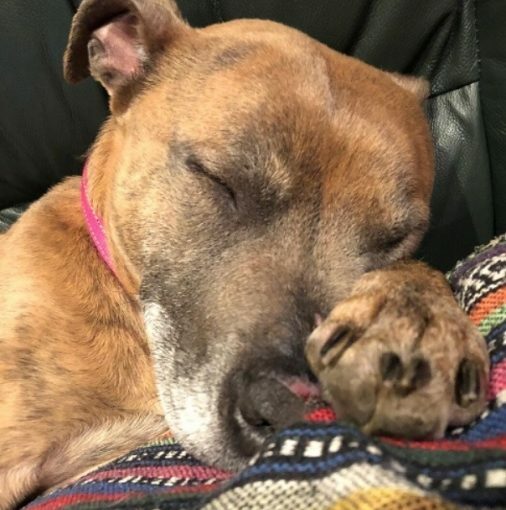 15/04/19 – Ella has been reserved! Good luck girl! 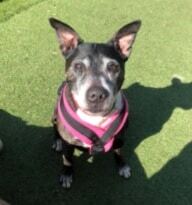 Ella is a beautiful, gentle girl who would love a quiet, adult home, with a nice garden to potter in. 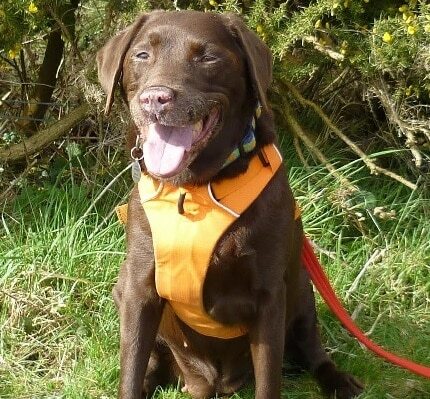 A resident laid-back dog to give her confidence would be good, and if it was another Lab, that would be perfect! Dear Paloma is simply a perfect lady. She’s beautiful, gentle and just loves people. 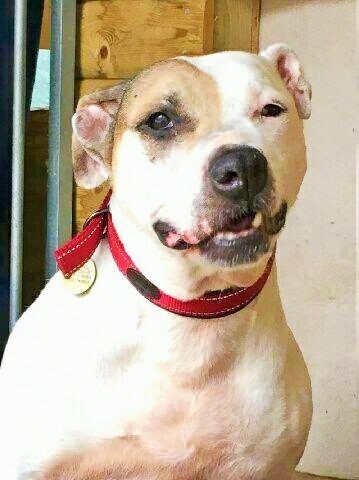 She’s fine around children, good with other dogs and lets cats walk over her. Paloma is so loving and would be a wonderful companion. Indie is sweet, gentle, loving and everyone’s sweetheart. Her favourites are lounging around and lots of cuddles. 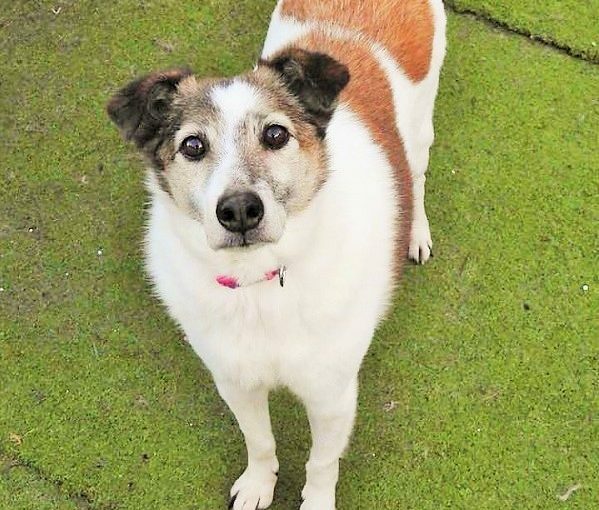 She can live with children aged 12+ and possibly a cat too, but would like to be the only dog for all the attention. 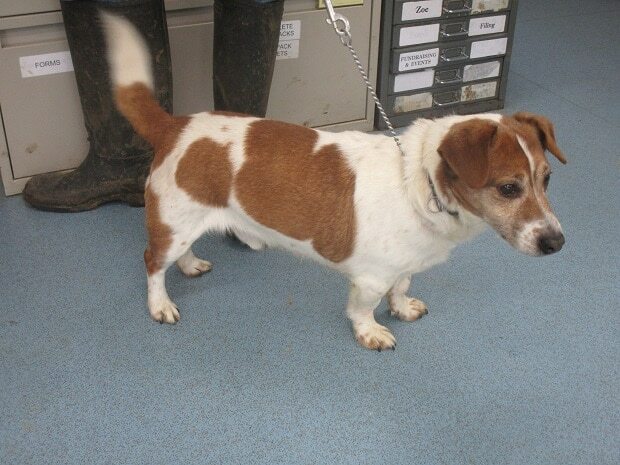 If you’re a JRT-loving Cornwall resident, perhaps you should take a look at Sprout! He’s going to make a fabulous little companion to his new people – he just asks to be your only pet and to not be left on his own for too long. Aw… Buster has been waiting for months for his forever human to find him! 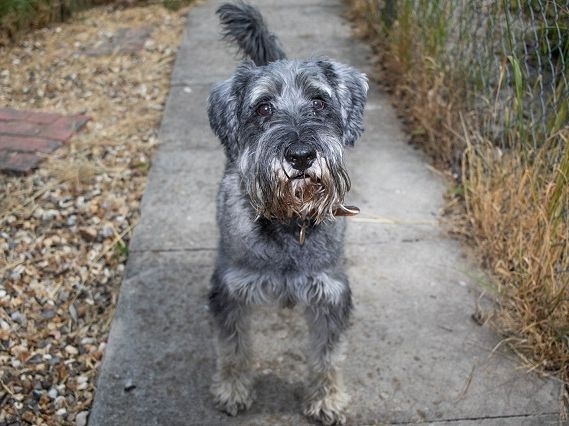 He’s a well behaved, affectionate old sweetheart who’s never happier than when snuggled up to someone. He can live with older children but wants to be an only pet. Oh, won’t someone say they want him?! 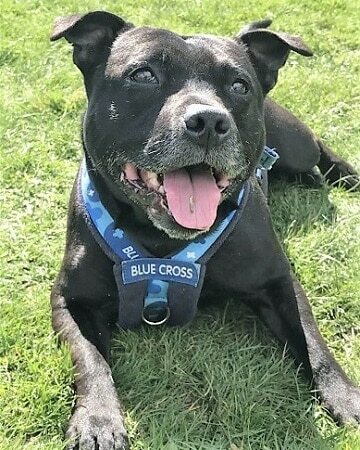 Buster is looking for an adult only home as an only pet where he can truly shine and take you out for fun adventures, maybe making some dog friends along the way. He’s a big softy who’s super bright and such a Good Boy! 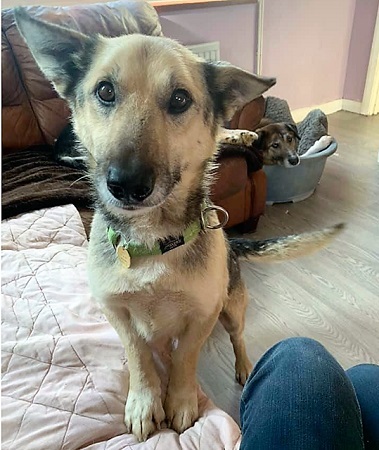 Due to a bad early experience, beautiful Alfie is absolutely terrified of young children and urgently needs a quiet, child-free home where he can relax and enjoy life again. He is good with dogs and is such a well-behaved, sweet boy. Large and lovely Sid is a placid Boxer cross who is looking for a foster/permanent home. He knows his commands, is house-trained and has good recall. 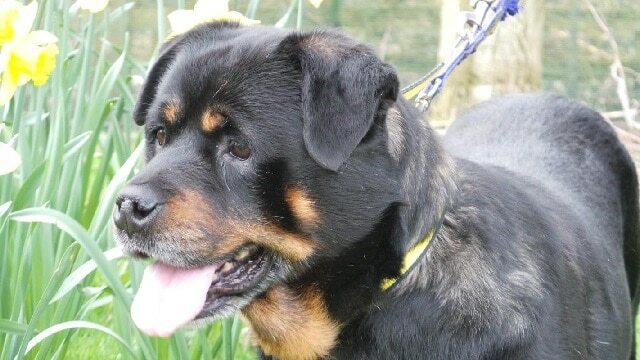 Sid can live with children aged 12+ but would prefer to be the only pet. Could you help Sid? 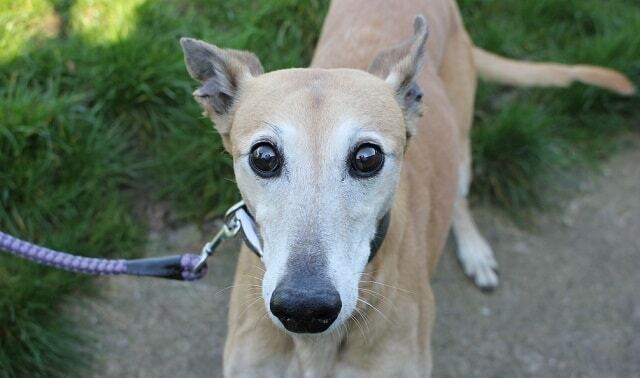 Sweet Sandy has had a very limited lifestyle and she’s a sensitive, gentle girl. She’s looking for a peaceful retirement with owners who understand that the wider world can be overwhelming at times. She’s a loving, loyal, pure-hearted beauty! 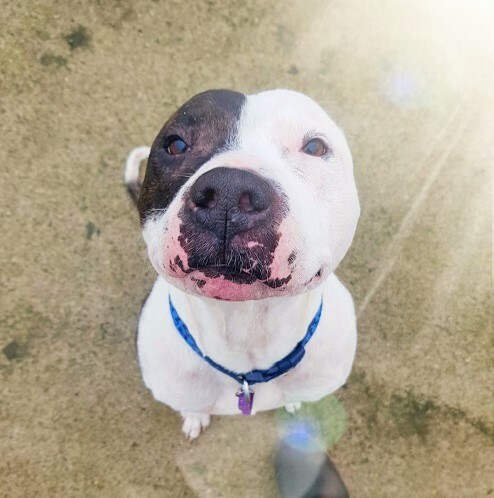 Pixie is a happy girl who loves people! She likes walkies, snuggles and snoozing. She’s not a fan of other dogs or cats but she could live with older children. With such cute ears and cheerful smile, she finds adoring fans wherever she goes! Such a cutie and with the typical Chihuahua character, Foxy likes being pampered and in the limelight. She’s happy to socialise outside but prefers to be the only pet with any children being older teenagers. She’s adorable and has a big personality. Harry is a happy, handsome boy whose tail is always wagging. He would enjoy a family home with children aged 8+, but his main requirement is a home where he will spend plenty of time snuggled up next to you, as cuddles are his speciality! 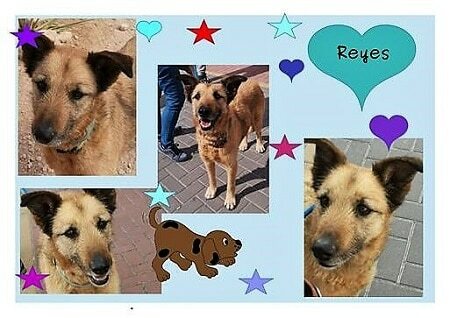 Lovely Reyes has had no life before coming to the U.K., but he’s sweet-natured with a lovely temperament. He’s looking for a rural home with experienced people and another dog in the home would be a plus. Could you be the perfect match for Reyes? 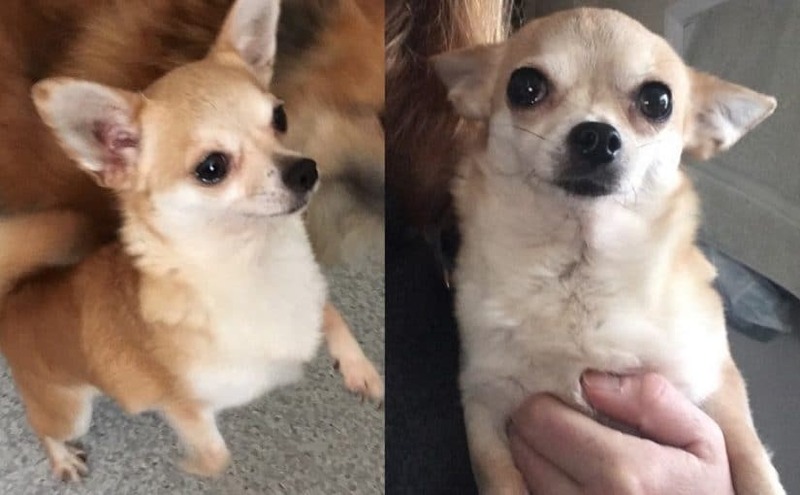 Adorable pair, George and Mildred, are looking for a lap or two to snuggle up to. They will take you on short walks and be cheerful companions. They could live with older children but want to be the only dogs at home. They love sharing fuss! 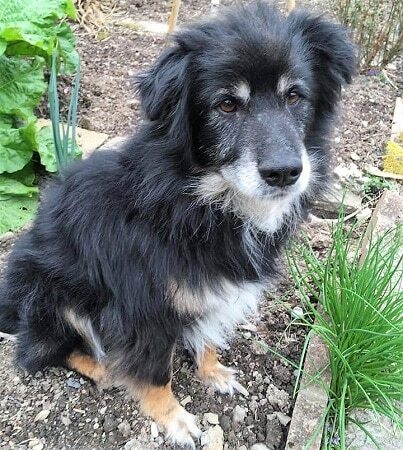 Bess’s Mum has sadly passed away and it was her dearest wish that Bess would find a loving home again. 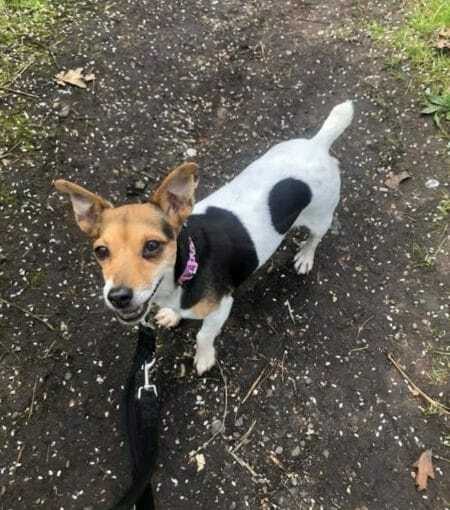 She is a very friendly Jack Russell looking for a quiet retirement place but is still active and enjoys going out. Can you help Bess? After 4 happy years with his family, Alfie must wonder why he is back in kennels. He is a calm, gentle and well-behaved boy who loves a cuddle and deserves to be in a happy home once again. 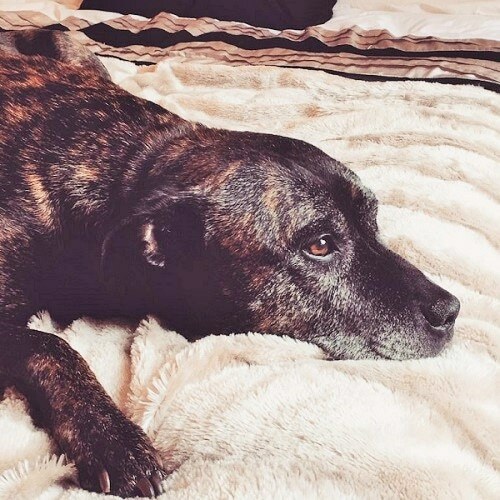 Rover is a gentle and affectionate Staffie Cross who loves people. He’s lived happily with children and other dogs but not cats. 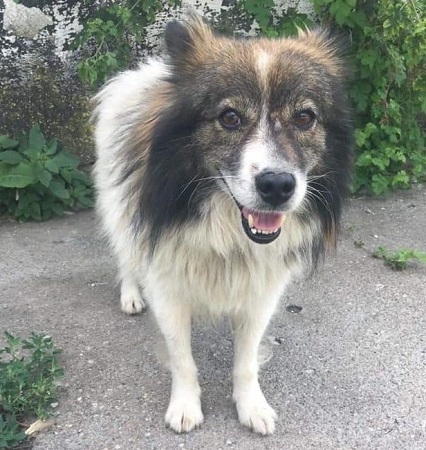 As a companion, you couldn’t ask for a better boy and he’s urgently looking for a foster/permanent home for all those home comforts he loves. 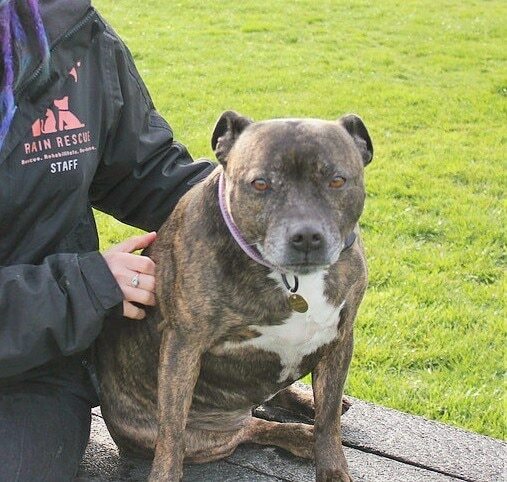 Poppy is a dinky and typically people-loving Staffie lady who desperate wants to be in her own home. 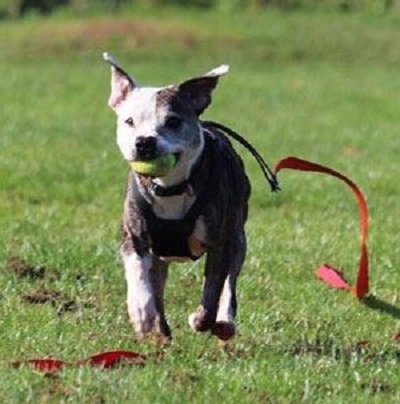 She happily walks with other dogs but woul prefer a pet-free home as she doesn’t like to share her toys. She’s full of life and could live with teenage children. 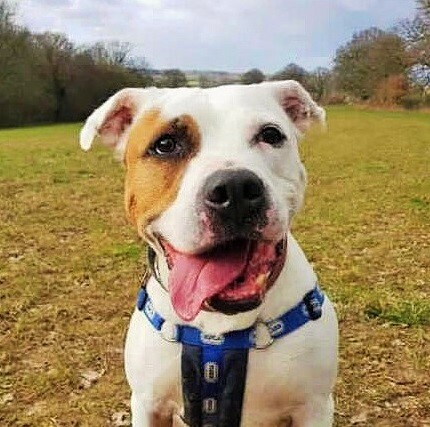 Ace is a smashing, social Staffie boy who really enjoys his walks and meeting everyone. 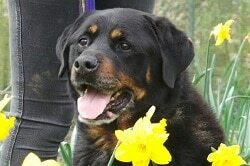 He’s urgently looking for a foster/forever home as he’s not doing well in kennels. He can live with older children and female dogs. Can you help Ace? Zeebo is one of those dogs you can’t help but fall in love with. Getting fuss and cuddles makes him very happy. He’s good in the home, in the car, with other dogs, children and even hamsters. He’s such a Good Boy, he practically has a halo! Please help Zeebo by sharing his page! 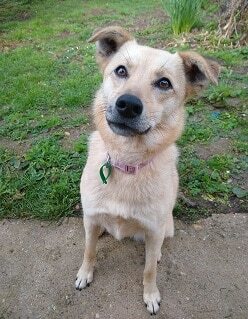 Sunny natured Roxy is looking for a home as an only pet so she’ll have all the fuss (and dog food) to herself. She’d be happy living with children, especially if they like throwing a ball and receiving kisses! 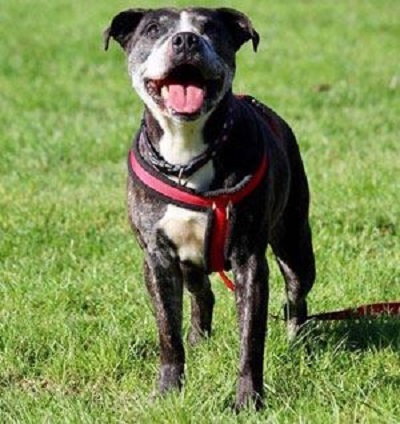 Mario is a sweet and extremely friendly Staffie boy who would fit well in a family home. He walks well with other dogs and could possibly live with a female companion or as an only pet. He loves affection and is also happy to settle down to a snooze. 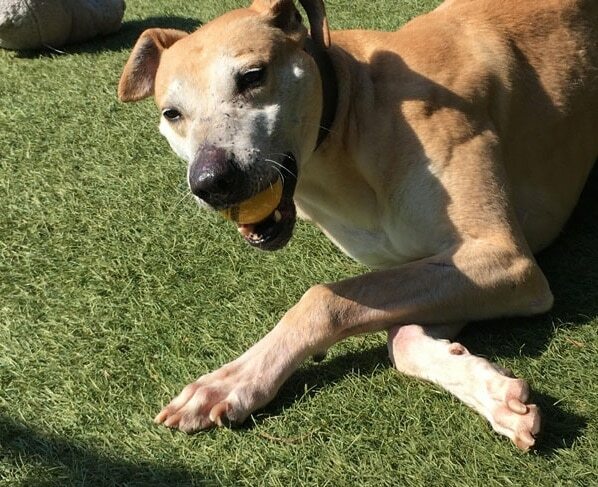 Rescued from Macau in China, Troy is a wonderful, comical Greyhound who absolutely loves life. He could live with another Sighthound but no small pets, furries or young children. Troy’s a smashing, affectionate boy who truly deserves a loving home. Zola will be your utterly devoted companion and love you forever! 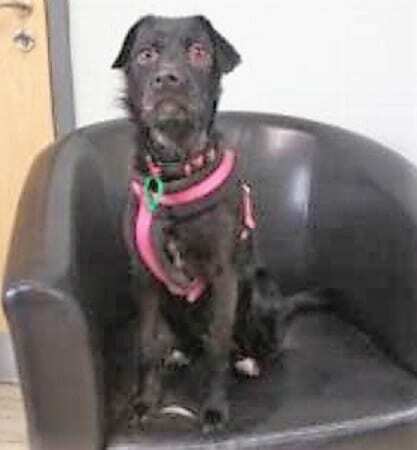 She can live with other dogs and children as she has a lovely temperament. She likes her lead walks and loves getting under the duvet even more! 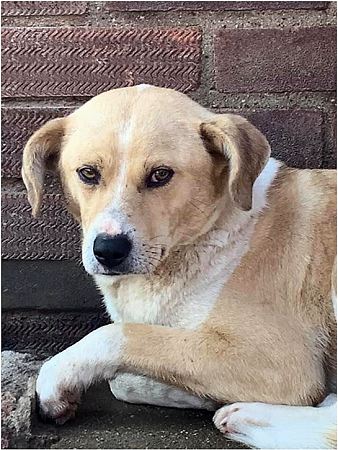 11/4/19 – Kingston has been reserved! Just look at those fabulous eye patches! Handsome Kingston is a very happy and playful chappy, but being in kennels is really getting him down. He can live with children aged 6+. Could you offer him a fun, family home? 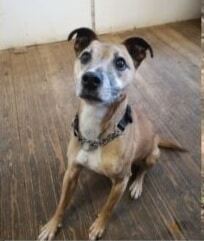 Kira is very sweet and would love to be your only dog. She can only have gentle exercise, but she enjoys short walks and an occasional ball game. Isn’t she beautiful? 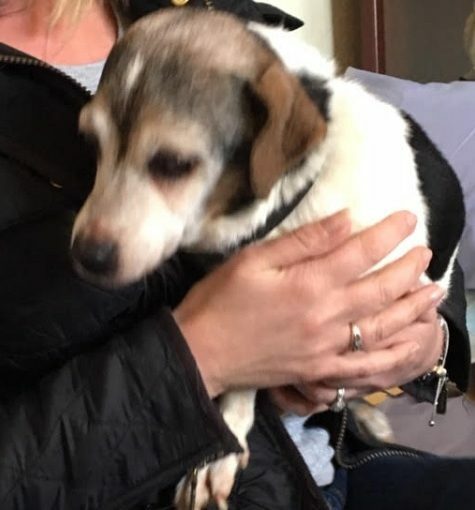 Beagle Cross Grappo is a quiet and unassuming boy who is looking for a peaceful, loving home after spending years in a Romanian shelter. He’s affectionate and loves attention when offered. He can live with another calm dog but would prefer a child-free home. He’s rather gorgeous. Skye is a fun-loving girl who loves cuddles. It’s a mystery why she hasn’t found a home as she’s a real favourite at Foal Farm. 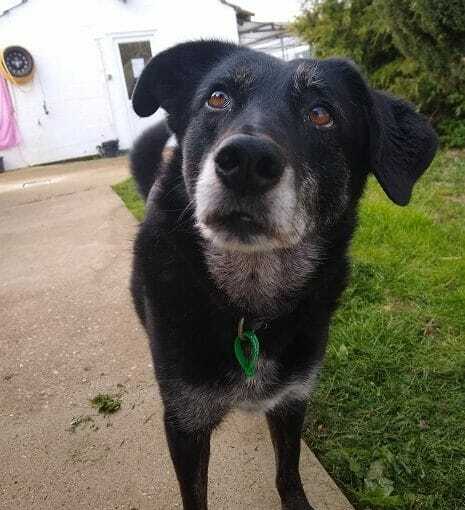 Skye would like two good walks each day, and if you have treats with you, she promises to walk beautifully on her lead. 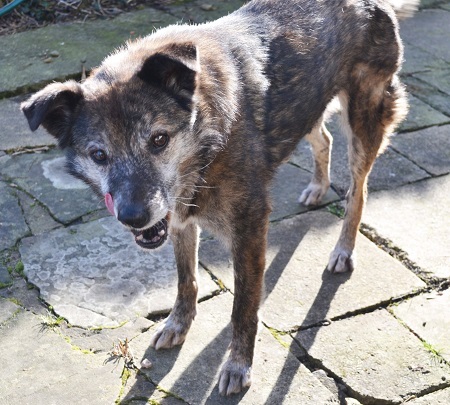 Towser is so happy to be in a lovely foster home after being dumped in Romania. He’s a little shy but gradually learning that life can be wonderful. He can live with children aged 5+ and would prefer to be the only pet though he gets on well with other dogs outside. It’s time he found his loving, forever home. 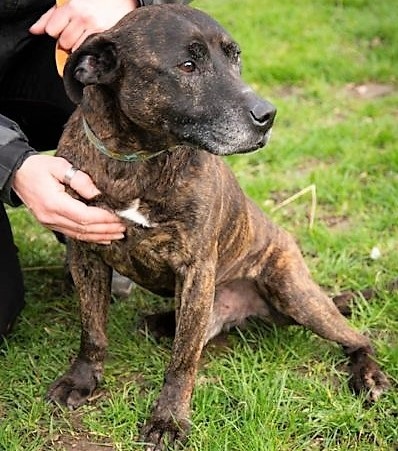 Harry is an older gent who is hoping that someone will ignore his age and give him the loving home he deserves for his remaining years. A long-term foster home would also be considered. He’s a lovely boy who just eats, sleeps and has a gentle potter outside. 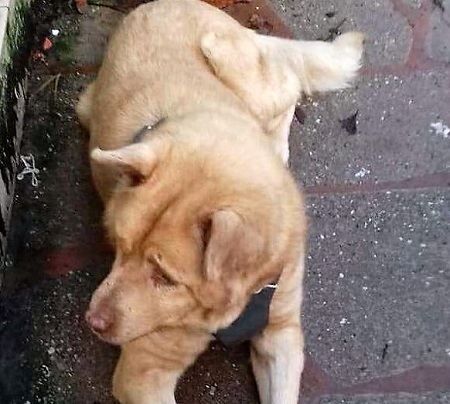 Harry can live with other dogs but would prefer no children or cats to disturb his peace. 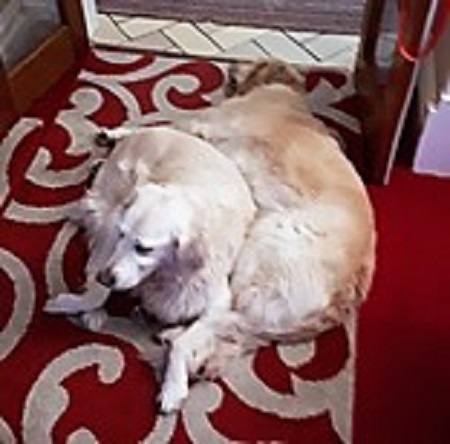 Gorgeous Golden Retriever girls, Bojangles and Cassie, are looking for a quiet, loving home without children. They are absolute poppets who don’t need long walks and are good with other dogs, but no cats please. 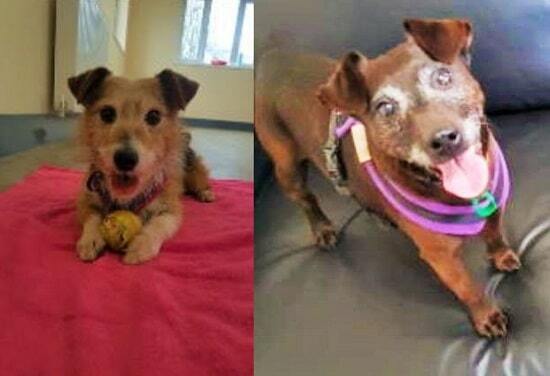 These two lovely ladies would make great companions. 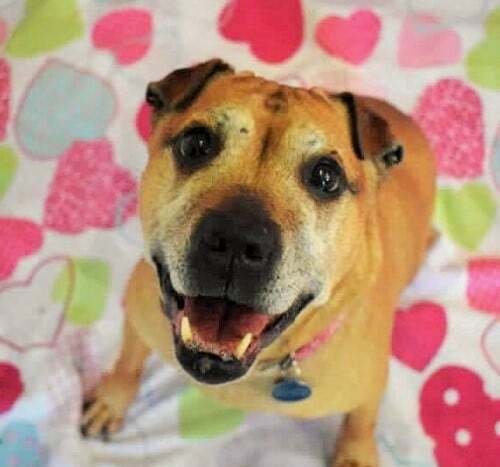 Cheerful Leela is a super friendly girl who loves all people! She wants company most of the time and although she’s OK with most dogs, she wants to be the only pet at home. She loves walks and to snuggle up to you and offer you kisses! Please help Leela by sharing her page! 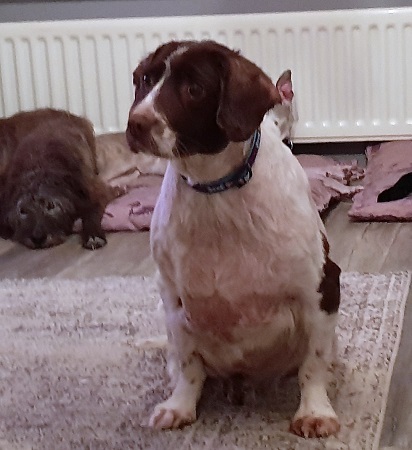 Springer Spaniel Cash finds himself looking for a home after his Dad sadly passed away. He’s lovely, friendly and dotes on his human family. He can live with dogs, children and even cats being such a sweet-natured boy. Cash would be an ideal companion for someone looking for a faithful, if rather overweight, friend. Wellington needs calm, experienced owners who will make him feel secure. He is a sensitive boy and so a quiet, rural home with a secure garden is on his list of requirements. 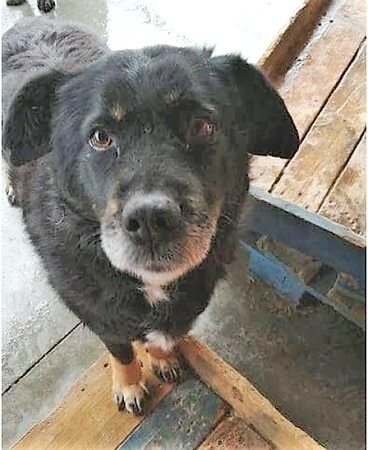 He’d like to be your only dog and needs someone at home with him most of the time. 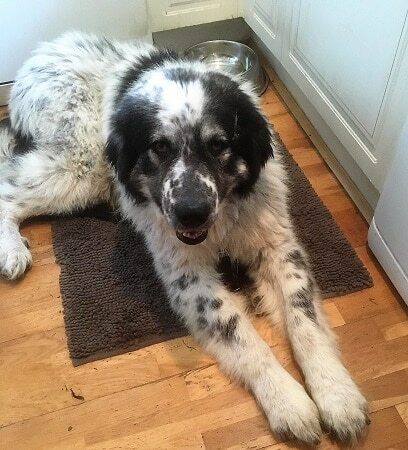 Calvin is a friendly and well-behaved boy who would fit well into most households. He gets on extremely well with other dogs and is keeping his paws crossed that someone will take him to the forever, loving home he deserves. Agility training? “Yes please” says Bentley, as he loves to show off on the equipment at the rescue. It’s good for his confidence too as he’s a sensitive lad who is wary of new people. He’d like a quiet home (and hopefully agility too)! 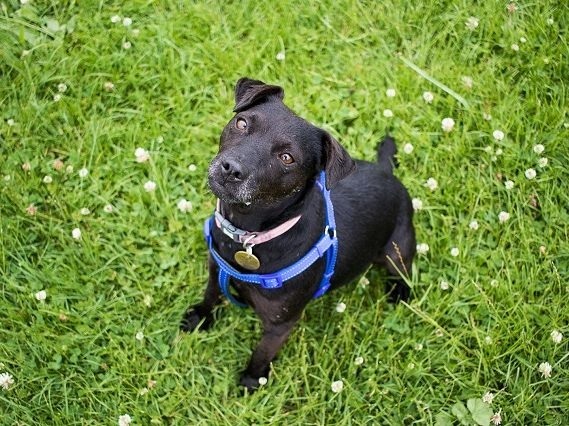 Pretty Patty the Patterdale is a fun-loving, active oldie who would love owners who will take her for long walks. She also loves snuggles on the sofa. 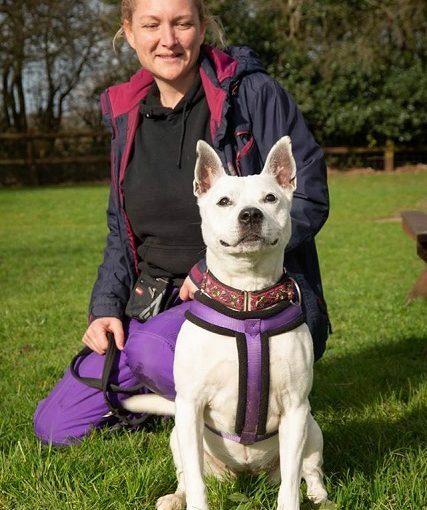 Could you offer Patty the home she’s been waiting for? 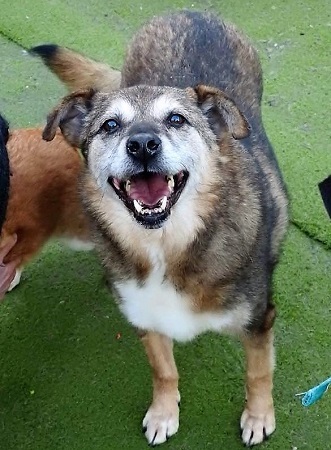 Darling Nancy is a loving old girl who still likes a walk and a play, despite her back legs being less springy these days. She wants to be the only pet at home and, for peaceful nap times, she’d like an adult only retirement home. Could you love her? 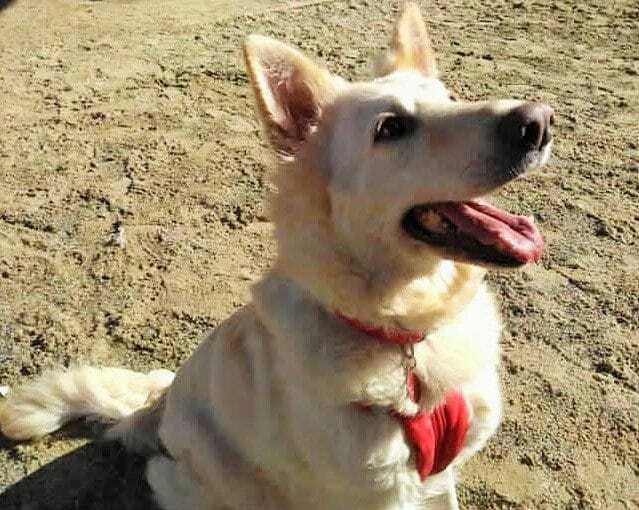 Sasha is an outdoorsy girl who would love to live with at least one other dog. She’s very good company in an undemanding sort of way. She doesn’t see the point of fuss but likes just being with you… especially on adventures! Lovely Leo is looking for a quiet, preferably rural home as an only pet. He has epilepsy and needs very considerate owners who like gentle walks in the woods and are handy with a hair brush. This sweet old boy just wants to relax! Fancy a warm, cuddly Teddy? Well, this Teddy is just for you with his lovely, thick, long coat. He’s such a handsome boy who loves being stroked and is happy to live with other dogs. All he wants is love and kindness and, of course, his forever home. 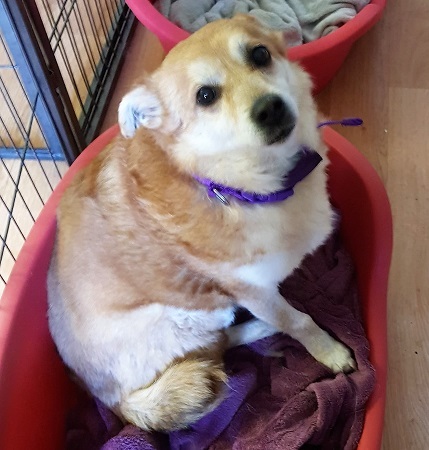 This delightful little lady is good with other dogs, cats and older children. She’s looking for a quiet home with a big garden and kind owners. She’s a sensitive soul, shy at first but soon showing her soppy side when she knows you and likes a cuddle! 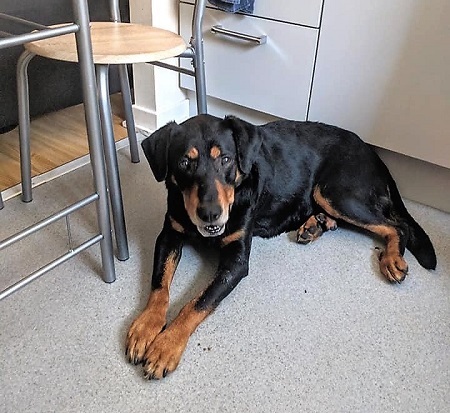 Gentle, timid, beautiful boy Thor would be very grateful for a home with a few fewer dogs than his current accommodation. Don’t get him wrong, another one or two dog friends would be lovely. Just as long as he can have some peace sometimes too! 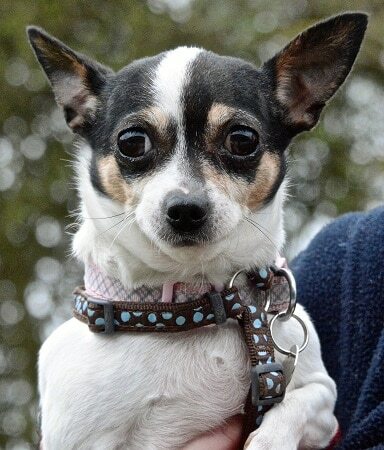 Holly is a very sweet Terrier x Chihuahua who enjoys walks and can jump up on the sofa. 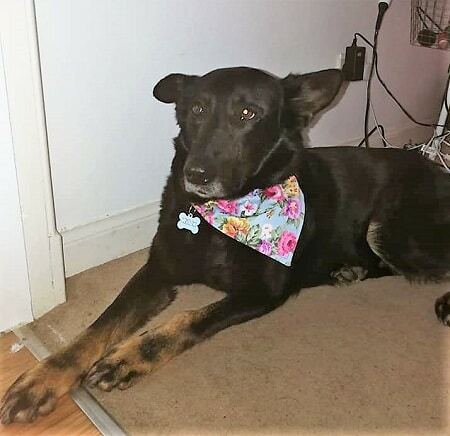 She previously worked as a part-time ratter but would like to retire to a life of luxury and love. Could you help Holly with her ambition? Such a cute lad and very friendly, Lucky is in need of a new, loving home due to being left alone very long hours. He’s used to living with children and is fine with dogs outside. His ideal home would be with an active, retired couple who can give him the time he deserves. Lucky will make a great companion. Dear Nancy is a bit of a snuggle monster on the quiet and loves human company. 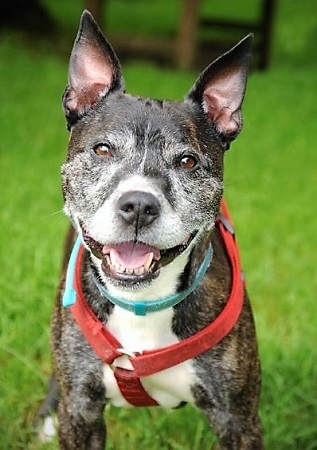 She’s looking for a quiet retirement home with maybe retired people who have time to give her lots of love. She is living with other dogs and gets on fine with them. She’s a very sweet, calm lady. 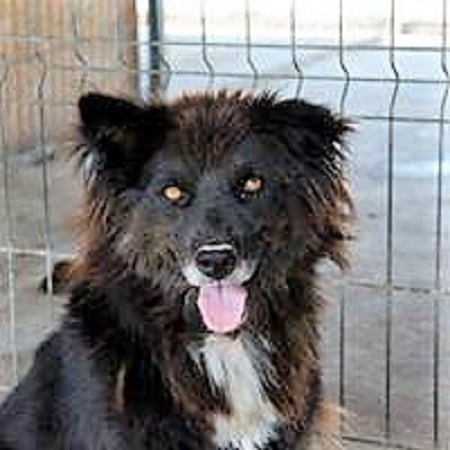 Cuddly Simon is very friendly indeed and has not been hardened by years in a Romanian shelter. 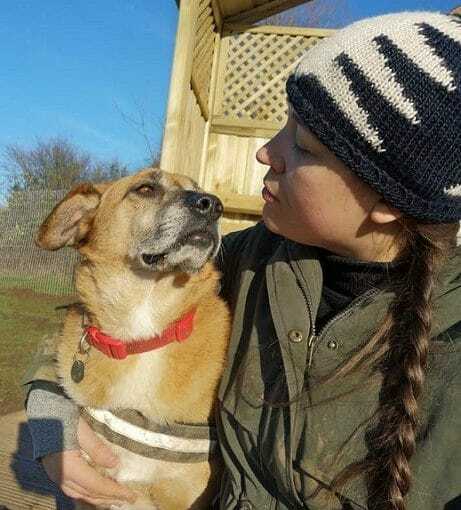 He just loves cuddles and would be so happy to have a cosy home of his own where he will love you forever. 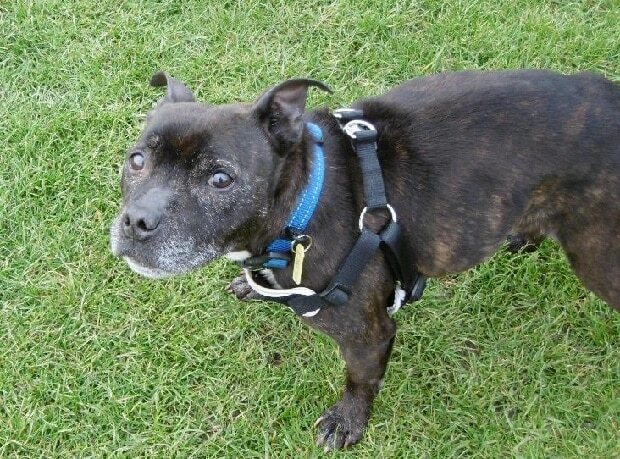 Simon can live with other dogs and is an absolute sweetheart.